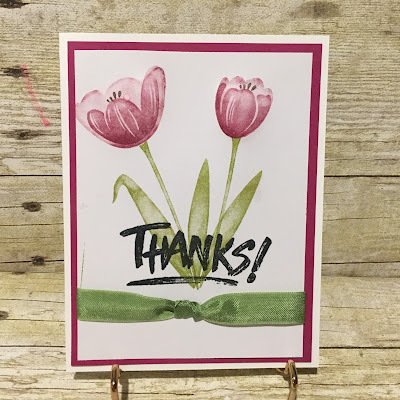 Inez featured the TRANQUIL TULIPS Hostess exclusive stamp set at her stamping classes this month so both she and Shirley brought a sample of cards that were made. Both cards feature the knotted ribbon instead of a bow making your card less bulky for the mail. Then Shirley brought one for me as a thank you for the Christmas gift. 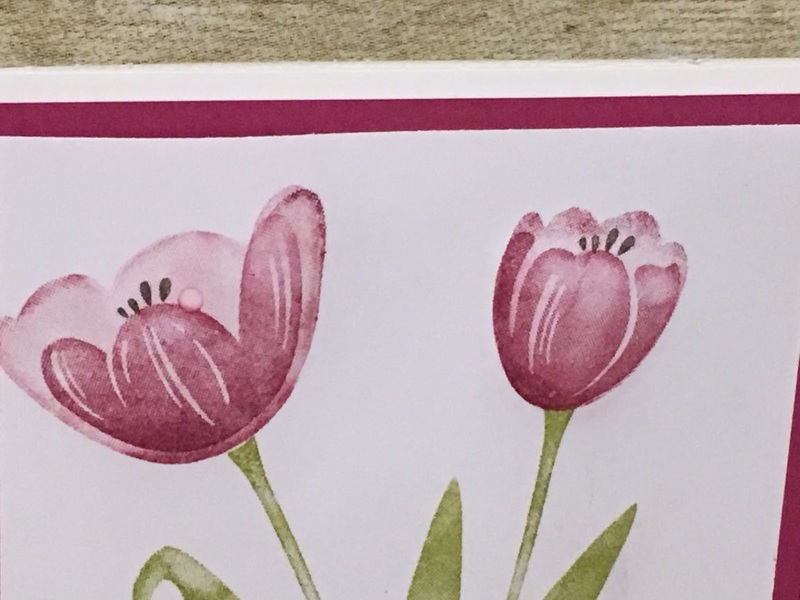 It is so hard to show up in this photo, but Shirley used her stylus to "cup" the tulips giving them a realistic look. Very stunning! 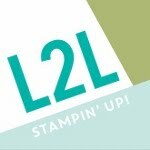 I simply love this stamp set and you can get one with a qualifying purchase. 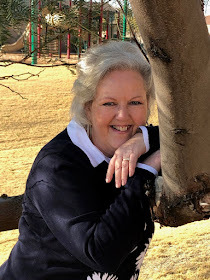 For every $150.00 purchase you become your own hostess, therefore getting Hostess Rewards. 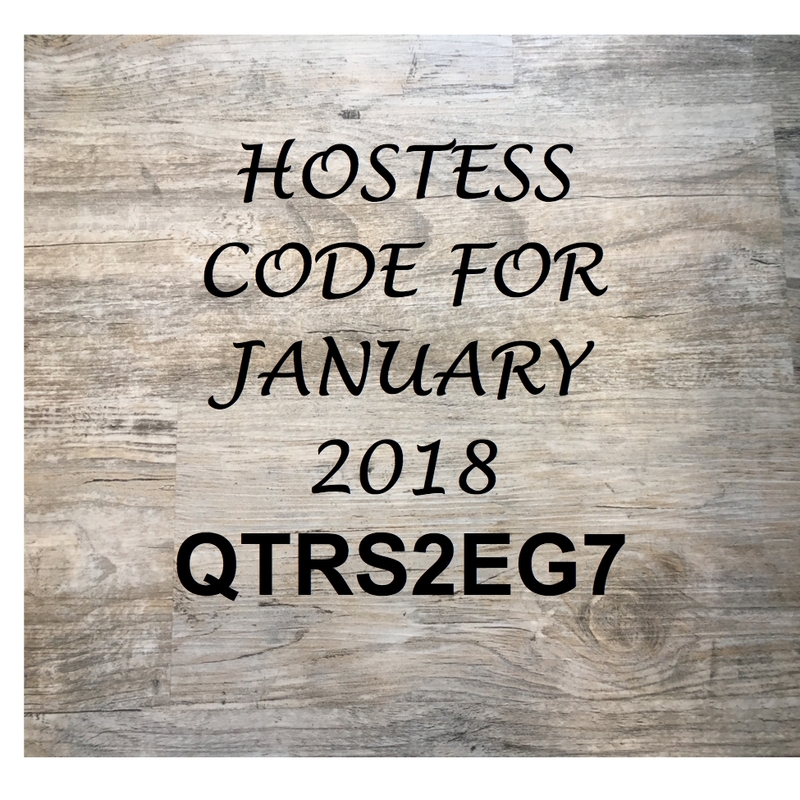 Using those rewards you can choose from the Hostess Exclusive sets. This one, of course, is my favorite! 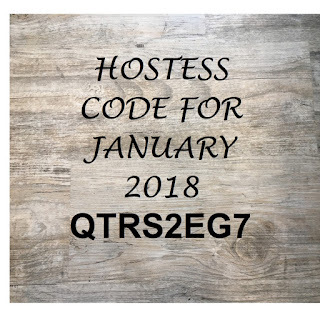 If your order reaches $150.00 you will NOT use the Hostess Code and therefore getting all the hostess benefits. (10% of sales). 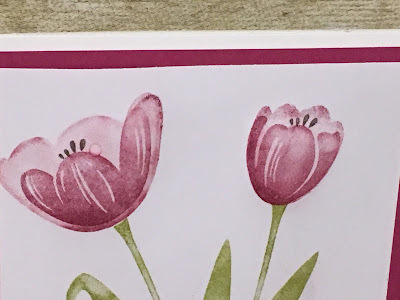 At $150 you would also qualify for either 3 - $50 price point Sale a bration items OR 1 $100 price point AD 1 - $50 price point items from the Sale a bration brochure.